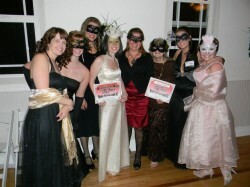 Dr. Nichole Martin took the office out to a Murder Mystery dinner at the French Creek Manor in Snohomish. The show was put on by The Murder Mystery Company and the theme of the night was “Murder at the Masquerade.” We had so much fun figuring out the clues and even solved the murder! 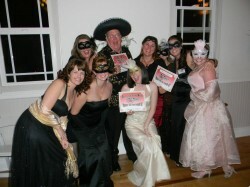 We won the award for Detectives of the Night and Bevy of Beauties. If you want a dentist in Lynnwood with both brains and beauty look no further than Heavenly Smiles!